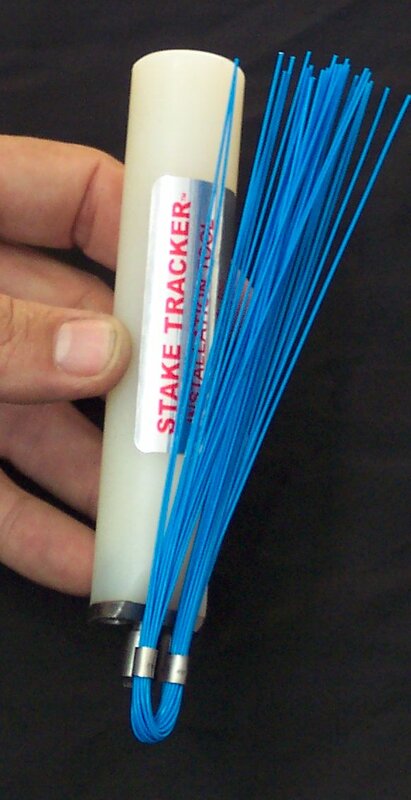 Original Stake Tracker designed for marking survey stakes, construction grade stakes and utility lines. Unlimited marking purposes. Some examples are: roads, streets, driveways, parking lots, foundations, site preparations, utility lines, survey points, soccer fields, baseball diamonds, mountain bike trails, ski slopes, snowmobile trails, golf courses, nature trails, gardening, landscaping, watering systems, cemetery plots, etc. 60D Nail Spikes are available from ShurMark. 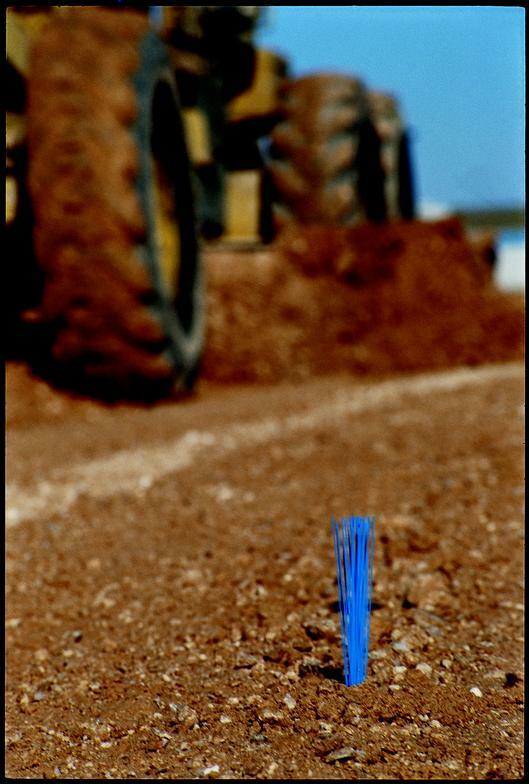 Designed for railroad spikes to be used in high density compaction and rocky terrain. For more information and pricing please complete the contact form or call 1-877-525-1303. Stake Trackers are sold in boxes of 1,000 or 500 flags. 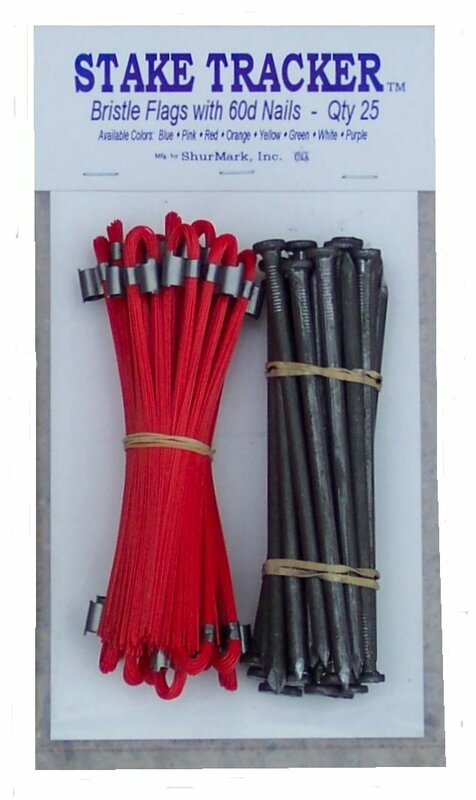 Also available in clear packaging, 1 bundle of 25 flags, with or without 60d nails. 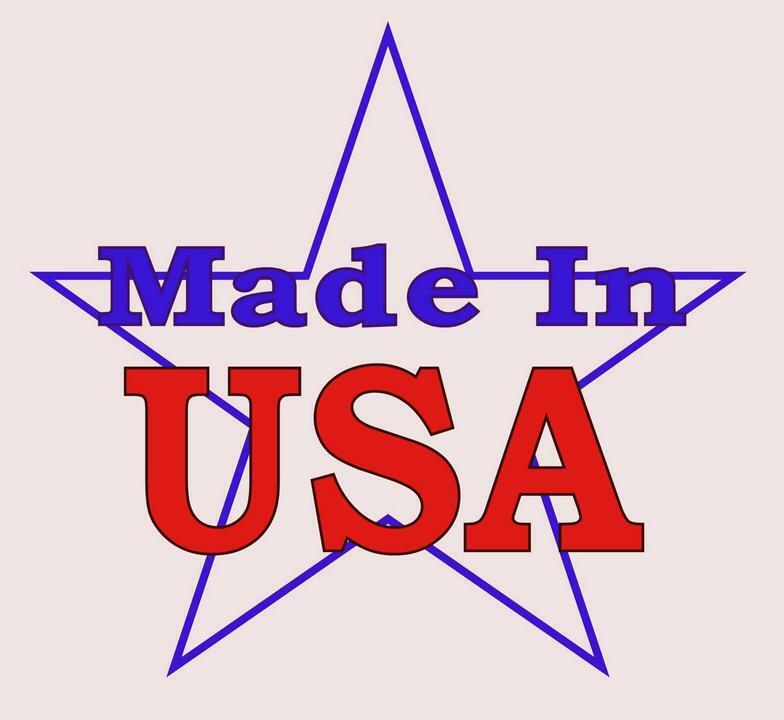 94 years of combined experience in "whisker flags" gives us the ability to provide the highest quality product and service available. 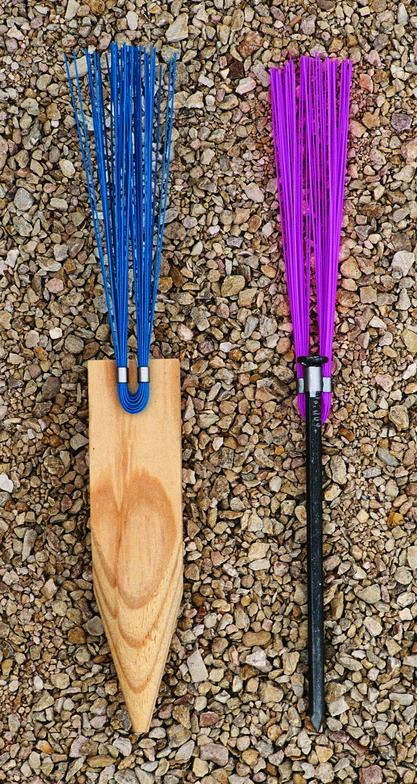 See Stake Trackers in the 2016 and 2012 Summer Olympics.